When opportunity knocks on your door, always be willing to take a chance. Beginning something new, trying something different is never easy. However, the logic is simple, when you know it needs to be done, do it, for opportunities may not be around for eternity. Grab it when you have the chance. So, instead of waiting we should be focusing on the things we can change and constantly create something of exceptional value for our customers, our teams and our communities. Moreover, this objective can be achieved only through great teamwork. Teamwork divides the task and increases the success rate. 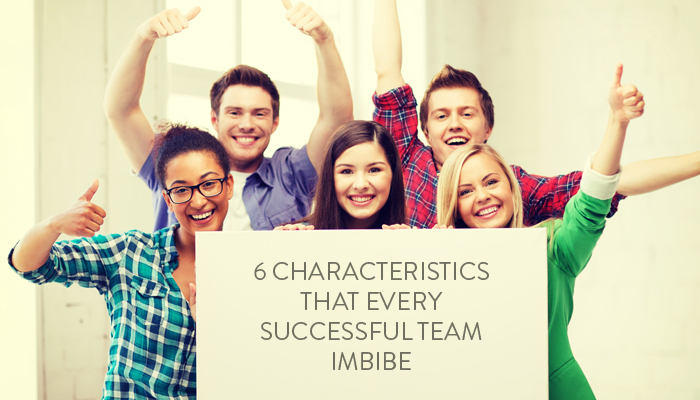 A good team represents a strong base of a high-performing business. Achievement is not a coincidence. A determined team working in synergy relentlessly to achieve the target, working in the right proportion and delivering at the right time leads to success. A great team achieves its goal because each member of the team takes up the equal responsibility of the goal and stand up against all the odds supporting the team. They work with a purpose, and in the process of making the project successful, they grow along with it together. I have been a part of both successful and not-so-successful teams. So, here are some of the most common elements that every successful team holds as a prized possession. Great teams work with a clearly defined purpose, and there is no ambiguity. Everything is crystal clear, and they know what the next step should be and in which direction each member needs to move. Here, the leader plays a vital role. A good leader represents a great team. The leader ensures that each member understands his/her role in the big picture and the impact each individual will have on the final outcome. Each member is very well aware of his/her responsibility and action moves. S.M.A.R.T. Specific, Measurable, Attainable, Relevant, and Time-bound. The S.M.A.R.T. Method of goal setting provides a model for success and helps to ensure a team stays on task and focused. A learning environment combined with fun activities creates the right platform for team members to flourish. It is very important that working life be garnished with fun. Happy employees are productive employees. Forbes has stated that happy employees make happy customers and promoting employee happiness benefits everyone. Various companies conduct Fun team activities to promote a happy working environment. To create a successful team, it is very important to ensure that each member of the team is happy. Each member of a successful team believes the project to be their own baby. A sense of ownership should be there inside each member of the team. This is very important as it determines the quality each individual will offer. For this transparency and cultivating professional trust are two crucial factors. With transparency comes to trust that ultimately helps the individuals in the team to commit themselves completely and truly to the project. In a well-formed team, team members, proactively support each other. They stand for each other and offer help if any member is stuck. A yes man show does not work if you want to have a great team that delivers great results. A team is made of diverse individuals, and hence there will be conflicts, and there will be a difference in opinions. However, it is much needed if you want creativity to blossom inside the team. Each individual should be given the freedom to put forth their opinions, suggestions, and ideas in front of the team. These new ideas can be generated by collective assemblement of all the ideas from the team members. These are just a few of the most important elements that help in developing a successful team that works to its highest potential. Teamwork does form a crucial place in the overall business success scenario, no matter to which industry your business belongs. Moreover, this is a fact that Teamwork will remain one of the strongest tools that hold the power to accelerate business success rate.